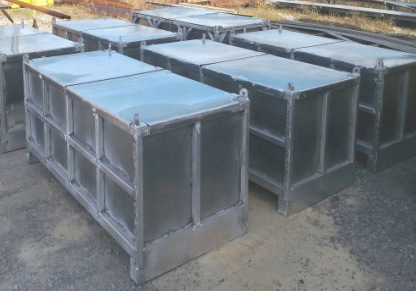 Our DNV 2.7.1 approved watertight aluminum boxes are designed for multiple uses offshore and on land projects. 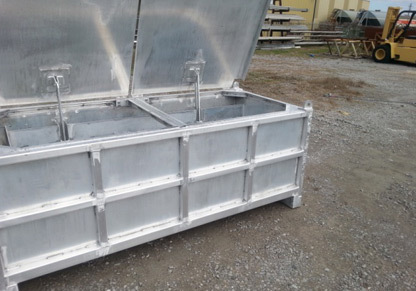 All of our aluminum boxes can be manufactured with or without certifications. All boxes can be custom manufactured with compartments and storage shelves. 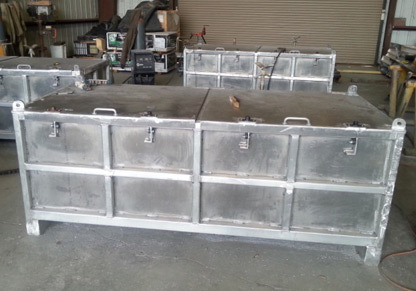 All boxes come with separate (2 each) lockable aluminum doors. 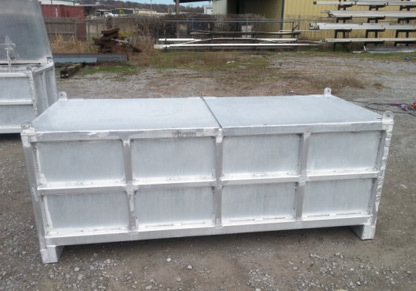 LENGTH X WIDTH X HEIGHT (in)	 92" X 42" X 39" AND 96" X 48" X 40"